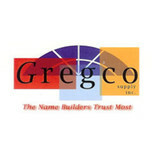 Welcome to Gregco Supply! We have been serving Southern Utah and the surrounding area since 1988. We specialize in residential and commercial glass such as glazing, windows, mirrors, shower doors, residential and commercial doors, hardware and storefronts. We offer top of the line Weathershield wood, vinyl windows and doors, as well as the moderately- priced window and door line from Linford. Specialty items such as acrylic glass block and skylites are also available. The most important thing to us is you, the customer, and your satisfaction. We strive to offer the best and most friendly customer service in the region. What can a local Saint George glass company help me with? If it’s a major home glass repair or replacement, the Saint George glass company should work directly with your insurance company to help bring down costs for you, if applicable. Find Saint George glass companies on Houzz. Narrow your search in the Professionals section of the website to local glass, mirror and shower door services in Saint George, UT and read reviews and ratings to find one that fits your needs.